When it comes to refreshing summer cocktails, if margaritas are the king, then mojitos are the queen of the poolside bar. There are many stories about the origin of the wildly popular Mexican cocktail, lovingly called margarita. Tales range from an elixir for a dancer who frequented a restaurant outside of Tijuana, to a Dallas socialite who was vacationing in Acapulco. Bars and restaurants put a wide range of spins on the citrusy classic that, although easy to make, is equally as easy to wreck with ingredients that are sub par and out of proportion. The traditional recipe is made with tequila, Cointreau (an orange-flavored liquor) and lime juice. Simple enough, but the proportions can be a deal breaker. So can the cost of Cointreau, which is basically a top-shelf triple sec that is 80 proof. There are more affordable brands of triple sec available, and their alcohol content is typically lower. The proper measurements, according to the International Bartenders Association (IBA), are 1.18 ounces of tequila, .67 ounces of Cointreau and ½ ounce of freshly squeezed lime juice. The IBA uses centiliters for measurements; I’ve roughly converted them into ounces since that’s what most amateur mixologists use at home. In a recent experiment with fellow margarita lovers, we found the most agreeable proportions were two parts tequila to one part each of triple sec and lime juice. Salt on the rim is optional. 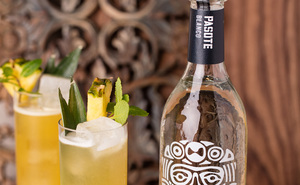 Using the right tequila is another key to cocktail success—100 percent agave or reposado. In the same taste test, using bottles of Pasote blanco and Pasote reposado, the layers of flavor that the latter provided were undeniable. On a side note, both of these were enjoyable straight up and chilled. Like the margarita, the mojito has many different stories about its origins. Hailing from Cuba, made popular by Ernest Hemingway, La Bodeguita del Medio in Havana claims to be its birthplace. 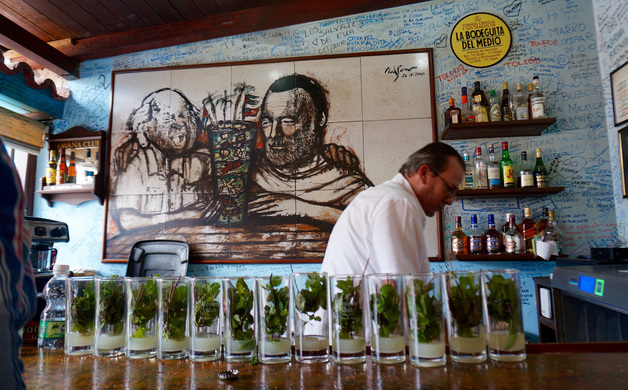 Tourists flock to this small bar to write on the wall and hang out where the famous author drank his beloved mojitos. It seems every bar in Cuba—upscale or a dive—serves the refreshing classic. Bartenders in this country routinely line their bars with glasses containing muddled sugar and lime juice, waiting to be finished off and served by the hundreds. Restaurants and bars get just as fancy with mojitos as they do with margaritas by using fruits like strawberry, raspberry and the like. 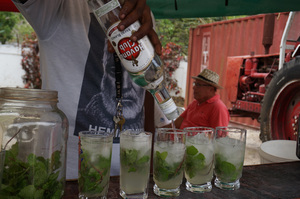 The classic mojito, however, consists of white rum, fresh lime juice, white sugar, mint and soda water. Gently muddle 1 ounce of lime juice, 2 teaspoons of white sugar and 6 mint sprigs in a glass. Add ice, 1¼ ounce of white rum and top with soda water. Can’t decide which way to go? 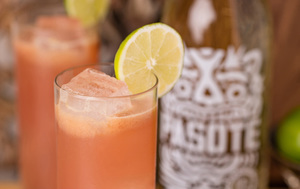 The Pasote smash is a kind of margarita/mojito combo. Build in a shaker, 2 ounces of Pasote blanco, 4 fresh pineapple chunks, 4 mint sprigs, ¾ ounces of lime juice and ½ ounce of agave syrup. Muddle, add ice and shake vigorously then strain over ice in a Collins glass and garnish with fresh mint and pineapple. For those who shy away from spirits, some of the best summer chillers are the ones that sparkle. Cinzano Prosecco is fresh and fruity with subtle flavors of apple and melon. It’s good for mixing in cocktails such as a bellini or mimosa, or try the mint spritz: 1 part Campari, 1 part cranberry, 3 parts Prosecco, 5 fresh mint leaves. If you like it sweet, Cinzano Asti Moscato is like a glass full of honey, almonds and peaches. Float some strawberries or other fresh fruits in this while you float in the pool. Enjoy experimenting with and consuming these refreshing summer cocktails. Put first four ingredients in shaker tin. Add ice, cap with other side of tin and shake vigorously for six to eight seconds. Strain into a Collins glass over ice. Fill with ginger beer and garnish with a lime.